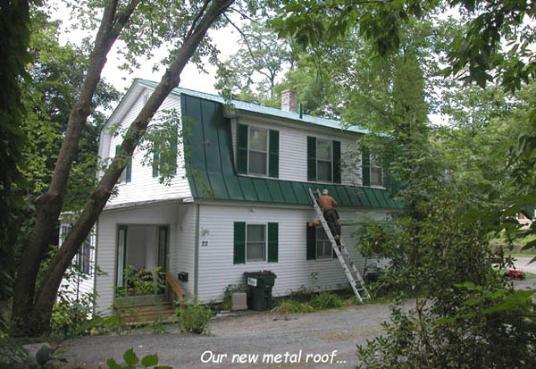 After moving in in mid-July 2005, the first thing we did was install a new standing-seam metal roof. See a foolish photo of our power-catamaran cruising down School Street IN THE SNOW! 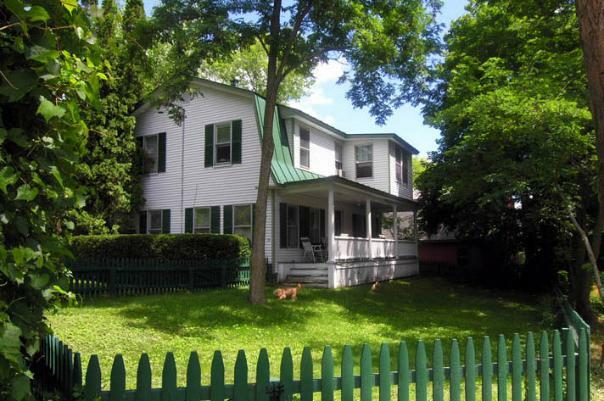 available on this property. A Plot Plan of the property is also viewable on this web site. Howe Library and the campus of Dartmouth College all lie within a ten minute walk. NOTE: Due to the closing of Yahoo Geocities, this web site has now been archived on SnoDogLog.com. PLEASE NOTE: As of 06/01/09, this property has been SOLD. It is no longer on the market.